There are 19 Assisted Living Facilities in the High Point area, with 9 in High Point and 10 nearby. The average cost of assisted living in High Point is $2,860 per month. This is lower than the national median of $3,346. Cheaper nearby regions include Greensboro with an average starting cost of $2,790. To help you with your search, browse the 117 reviews below for assisted living facilities in High Point. On average, consumers rate assisted living in High Point 3.7 out of 5 stars. Better rated regions include Archdale with an average rating of 3.8 out of 5 stars. Caring.com has helped 5 families in High Point find high-quality senior care. To speak with one of our Family Advisors about assisted living options and costs in High Point, call (855) 863-8283.
Review of Piedmont Christian Home, Inc.
As a part of the Piedmont Triad in North Carolina, High Point, along with Greensboro and Winston-Salem, form a region that exceeds 1.6 million residents. As a result, a bounty of arts and cultural activities are available for seniors in High Point, from outdoor musical performances to arts and crafts fairs. In addition, the city is home to nine assisted living facilities with another 49 in nearby cities like Greensboro. 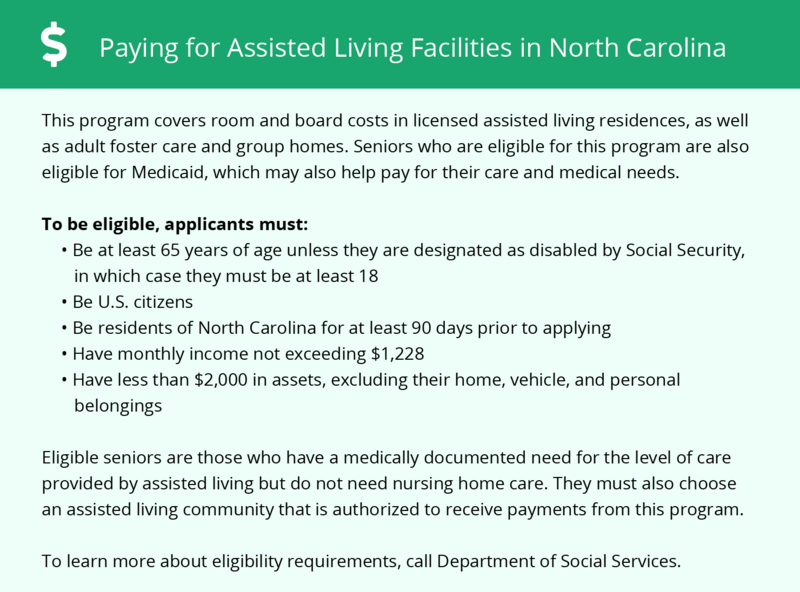 The North Carolina Division of Health Services Regulation oversees the licensing of assisted living facilities, which the state terms adult care homes. High Point boasts hot summer temperatures with highs reaching 90 in July. Winter temperatures are moderate, with high temperatures in the low 50s. Seniors looking to escape snowy winters enjoy High Point, which averages just 2 inches of snow every year. Cost of living in High Point is about 14 percent lower than the national average. Housing costs are particularly low. These lower expenses apply to assisted living facilities as well, where costs fall below the national median. The High Point Transit System (HPTS) operates a fixed route bus schedule that runs throughout the city. Seniors who are unable to access these buses can use the HPTS ACCESS, a door-to-door transit system designed for in-need seniors age 70 and older living within the city limits. The High Point Arts Council produces a variety of arts and cultural activities suitable for seniors. Live music in local parks, arts and craft fairs featuring vendors from all around the state and local theater are just some options to keep seniors busy. The High Point area is home to world-class medical facilities, including High Point Medical Center, in the event of medical emergencies or illness. High Point has an array of community resources for seniors, including the Senior Resources of Guilford, a nonprofit organization that offers social activities, community nutrition and meal delivery programs, as well as one senior center. Assisted Living costs in High Point start around $2,860 per month on average, while the nationwide average cost of assisted living is $4,000 per month, according to the latest figures from Genworth’s Cost of Care Survey. It’s important to note that assisted living rates in High Point and the surrounding suburbs can vary widely based on factors such as location, the level of care needed, apartment size and the types of amenities offered at each community. Eligible seniors can seek out financial assistance to reduce the expenses of assisted living in High Point. 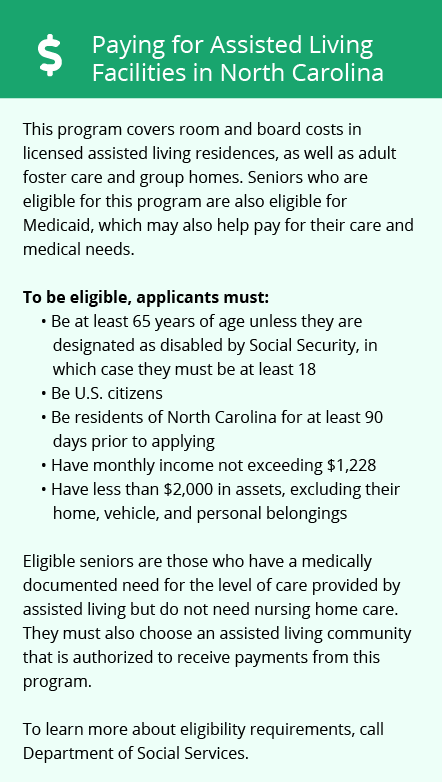 The North Carolina Medicaid program assists with assisted living expenses for Medicaid-eligible seniors. High Point and the surrounding area are home to numerous government agencies and non-profit organizations offering help for seniors searching for or currently residing in an assisted living community. These organizations can also provide assistance in a number of other eldercare services such as geriatric care management, elder law advice, estate planning, finding home care and health and wellness programs. To see a list of free assisted living resources in High Point, please visit our Assisted Living in North Carolina page. High Point-area assisted living communities must adhere to the comprehensive set of state laws and regulations that all assisted living communities in North Carolina are required to follow. Visit our Assisted Living in North Carolina page for more information about these laws.